to the terminal port (TB7) on the FACP. remote power supplies (requires 24 VDC). Up to 32 LCD-80F annunciators per FACP. Plug-in terminal blocks for ease of installation and service. Local piezo sounder with alarm and trouble resound. 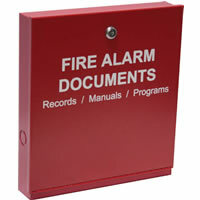 Surface-mounts to Fire•Lite SBB-3 surface backbox. control of critical system functions. no programming, which saves time during system commissioning. 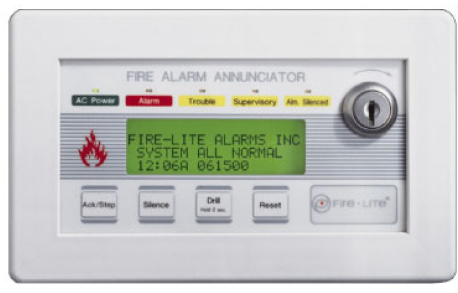 The LCD-80F is a compact, cost-effective, 80-character,backlit LCD remote Fire Annunciator for use with theFireLite MS-9200UD and MS-9600 Fire Alarm Control Panels(FACPs).